Cocaine addiction treatment continues to be an urgent and critical public health need throughout the United States. While the national conversation has shifted toward the opioid epidemic, thousands of Americans are succumbing to cocaine dependency. The National Institute on Drug Abuse (NIDA) reports that there were more than six thousand cocaine overdose deaths in 2015. The Centers for Disease Control and Prevention (CDC) reports that between 2015-2016, cocaine users experienced one of the highest percentage increases of overdoses (52.4 percent). Cocaine inflicts serious, lasting, and sometimes permanent damage to the brain and body, and it’s critical that users seek cocaine addiction treatment as soon as the dependency is identified. Physical and behavioral signs of cocaine abuse will manifest relatively quickly. Unfortunately, many cocaine users insist they can casually use the drug without becoming addicted. The Substance Abuse and Mental Health Services Administration (SAMHSA) reports that around 1.5 million Americans engage in regular cocaine use, and 913,000 cocaine users meet the Diagnostic and Statistical Manual of Mental Disorders (DSM-5) criteria for dependence or abuse of cocaine. 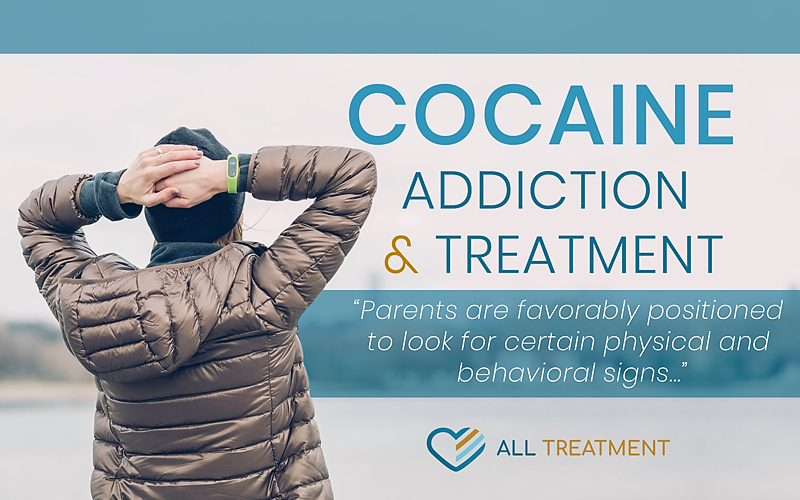 For many, the lines between what many deem as “acceptable” cocaine abuse (although there is no such thing) and addiction can get blurred, which is why it’s critical that friends and loved ones keep an eye out for the signs. If you recognize these symptoms in yourself or a loved one, it’s imperative that you seek cocaine addiction treatment immediately. Cocaine addiction treatment is most commonly deployed in an inpatient or outpatient setting. Inpatient treatment involves an extended stay at a residential treatment facility (usually between twenty-eight to thirty days) where patients can focus on getting the help they need and building relapse prevention skills and behavioral coping techniques. Inpatient treatment is best for those who have relapsed after outpatient treatment or have an extended history of prolonged and untreated cocaine abuse. Outpatient treatment offers patients quality and immersive care with the flexibility to stay involved in their careers and family lives. Patients attend multiple weekly treatment sessions for about two to three months and receive counseling, group therapy, and supplemental occupational therapies. Intensive outpatient (IOP) treatment is a longer-term version of regular outpatient treatment with more frequent treatment sessions. Typical IOP programs last between three and four months. Cocaine addiction treatment patients may require long-term sober housing to help them more successfully transition back into their everyday lives and family dynamics. These programs are often extensions of inpatient treatment and offer resources like life skills training, assistance with medication maintenance, and logistical help such as transportation to and from work and more. Effective cocaine addiction treatment requires treatment of the physical and psychological issues associated with the disease. 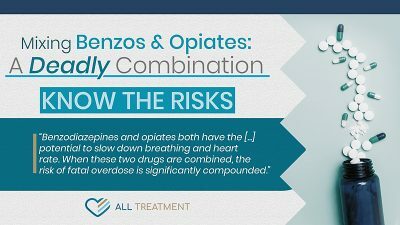 This includes addressing any immediate medical dangers from prolonged and untreated abuse as well as relieving withdrawal symptoms and treating any acute or long-term mental health issues. Comprehensive cocaine addiction treatment should include detoxification in a medically supervised environment and behavioral rehab. Medical Detox – Helps patients safely and comfortable get through the worst of their withdrawal symptoms and provides a safe, compassionate and supportive environment with medical experts who can intervene in the event of a medical emergency. Most detox programs typically last from five to seven days. Behavioral Rehab – Helps patients address the behavioral causes and consequences of their cocaine abuse through counseling, group therapy, supplemental therapies and more. The goal of cocaine addiction rehab is to help patients understand the root causes of their substance abuse and empower them to avoid relapse in everyday life. Most rehab programs offer aftercare plans that allow patients to build on the tenets of their treatment even after they complete their program. These plans offer contact information for support groups and addiction-trained therapists, as well as ways to utilize the behavioral coping techniques they developed in treatment. Does Insurance Cover Cocaine Addiction Treatment? Over the past decade, legislators, treatment providers, and insurance companies have come to realize just how urgent and pervasive cocaine addiction and other types of substance abuse are in this country, and they have taken steps to make treatment more affordable and accessible. Medicaid and employer-based health insurance are the two largest subsidizers of cocaine addiction treatment; however, there are also state programs that cover the entire cost of treatment, depending on your state of residence. Talk to the admissions staff at your prospective treatment centers to discover your options for coverage and assistance. You may have more options than you realize. Individuals who continue to abuse cocaine without treatment run the risk of serious long-term health issues and potentially fatal overdose, to say nothing of the unforeseen and devastating collateral damage. For example, NIDA estimates that there are around 750,000 cocaine-exposed pregnancies every year. You don’t have to become a statistic and surrender your life to cocaine abuse. If you or a loved one are suffering from this increasingly urgent public health threat, get the help you need now.